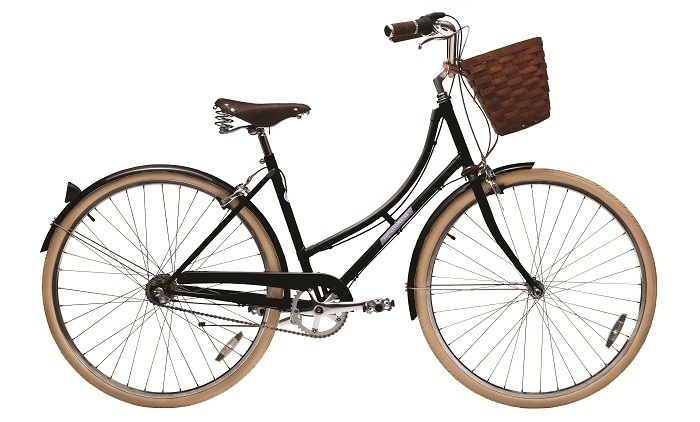 Isn't this bicycle a beauty? I've been playing around with designing one on the Papillionaire website and it's kind of additive to choose the style , gear , color for the frame and tires, seat, grips, and basket. We don't live in an area of town that is really conducive to bicycle riding for errand running or even cruising around safely, so I fear that a bike would really be a waste of money for me at this point. It is nice to dream though, isn't it? Do you have any dream purchases that don't really fit your lifestyle right now? I would love a bike too! We live in the city so it wouldn't work out very well... but I still love "old style" look they are making bikes in these days! Oh that is pretty, I used to dream of bakfiet bicycles, but the kids are all getting big now. We live in a wonderful bike friendly community. These days my dream purchase is a little house, it is getting tougher and tougher homeschooling in our tiny apartment. I do need a new bike, actually! We take the boys biking all the time and I walk. It wouldn't be practical until next summer, however, when the baby can go in a child seat or trailer. What we'd really like that doesn't match our lifestyle or budget is a camper! We have itchy feet lately, and want to pick up and GO!